This week’s blog comes curtesy of the Reach out and Read program. Reading together is the single most important thing you can do to develop language skills and learning ability in your children, especially between the ages of six months and five years. Nothing will do more to prepare kids to excel in school: reading increases their vocabulary, their understanding of phonics, familiarity with the printed word, storytelling ability, and comprehension. Snuggling up and reading with your children will also help them feel loved and secure; do this at bedtime and it will help them sleep. All this is before we get to the actual contents of the books! For tricks on how to read to tiny people, check out my blog on Growing Brains. Read, love reading, and encourage your children to love reading and their world will open up with possibilities. In The Dead Poets Society, Robin Williams said, “No matter what anybody tells you, words and ideas can change the world.” They can, in particular, change your child’s world. I am a book pusher. In my office we force free books on babies and children at every visit, compliments of the Reach out and Read program. They generally would prefer lollypops, but they put up with it. With each book they get nagged about reading. We do this because a child’s brain develops most rapidly between 6 months and 3 years, and reading aloud stimulates the parts of the brain in which language skills reside. This is an opportunity we cannot afford to miss. The problem is that only 48% of families read to their children every day; 1 in 6 read to their children only 3 days a week. One third of children enter kindergarten lacking basic language skills. These kids are typically 12-14 months behind; 88% will never catch up. These kids start the uphill journey of life at a tremendous disadvantage. Vocabulary. The number of words with which children enter kindergarten directly predicts their later success. Phonics. There is no other way to learn how words sound than by hearing them spoken. Familiarity with the printed word. Opening a book should feel comfortable, warm, and welcoming, not intimidating. Storytelling ability. There is no better way to stimulate your child’s imagination than allowing them to create their own story. Comprehension. Children learn the actual meaning of the words by hearing them used. Knowledge is power, and it is waiting to be gathered from the words in books. Love of reading is also waiting in those words, needing only to be nurtured by time shared reading. That love will become a mighty tool and support throughout their lives. Ask questions. The traditional questions are what-when-why-where-how? What is the creature in that tree? Why is Clifford so big? Where did that mouse go? Get involved in the book. Describe the book. Talk about the pictures: That dog is bigger than the house! Look how tall that beanstalk grew! Count objects, if there are several: One-two-three apples! Notice the actual letters: Look, there is an “N” – that’s the first letter in your name! Notice and point out colors and shapes. Use funny voices: nothing will entertain your child like you sounding like a duck. Emphasize rhymes; sing the words when you can. Kids love to imitate crazy words. Generations of people can say “supercalifragilisticexpialidocious’. What were the chances? Is your Mama a Llama? There is a reason “One, two, buckle my shoe” is around long after the demise of shoe buckles. It rhymes, and you can sing it. Relate the book to your own life. If you read “Clifford and the big storm,” talk about that storm you had last week. Have fun. Your munchkin will see your happiness, and their joy in reading will grow. Reward reading. Kids will do what they are rewarded for doing. If reading brings with it hugs, smiles, and time with mom or dad, they will want to do it again. Bring reading into the rest of your life. Notice signs beside the road; mention the movie marque for the show they want to see. Visit libraries, museums, and parks and talk about what you see. Listen to music, and talk about the lyrics. When your child shows you the picture he or she drew, invite them to tell you a story about it. Where is that dinosaur going? Is he all alone? Show them how you use words through the day, writing your lists, or paying your bills. Some words can sound the same, but have totally different meanings. You can bake cookies with flour, or pick a flower off a bush; Grandma’s hip might creak, but it’s not the same as the creek you fish in. Different words can mean the same thing. That flower can also be called a blossom, if you are in the mood. The exact same word can have very different meanings. A dog’s bark is very different than the bark on a tree, as a computer mouse is different than a live one. Words can end the same, and rhyme! That mama llama is an enduring favorite. Make reading a habit. Children’s brains are designed to form habits. Habits and routine are security to them; use this to your advantage. A habit of snuggling up to read every night before bed will make bedtime a much more enjoyable experience. Happy children sleep better. If you make a habit of reading to your child for 15 minutes each day, by the time they enter kindergarten you will have read to them for a whopping 500 hours. No wonder it makes such a difference! Parents are a child’s first and best teachers. They are the most important people in their child’s universe. If a parent thinks that reading matters, then it does matter. If they think that reading is enjoyable, then it is. 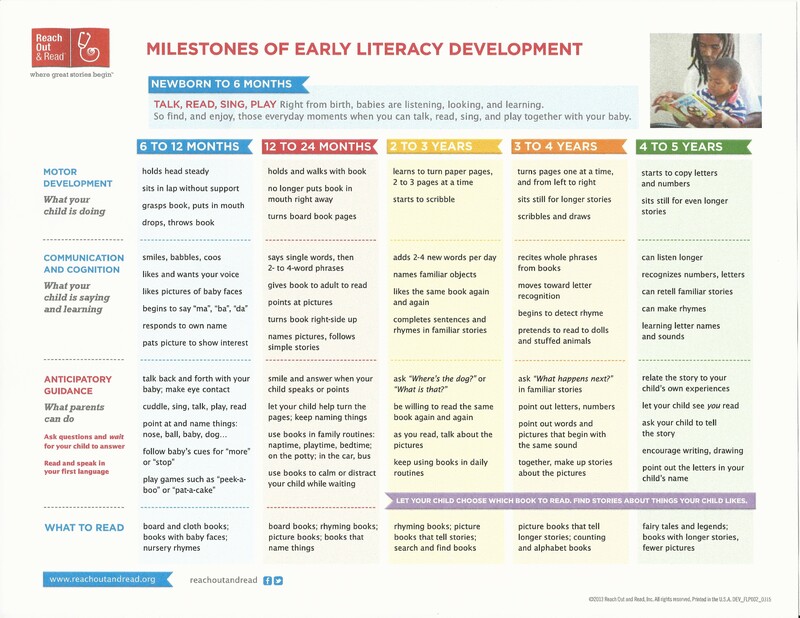 With a routine of reading, a child will enter kindergarten with a larger vocabulary, a habit of reading and learning, and a habit of being interested. They will know that interest is always rewarded. They will be ready to excel. Reading can open up the world for children. Anything they find interesting, they can explore. They can discover things they otherwise might never have known existed. They can search for the answer to any question, and be inspired to ask new ones of their own.